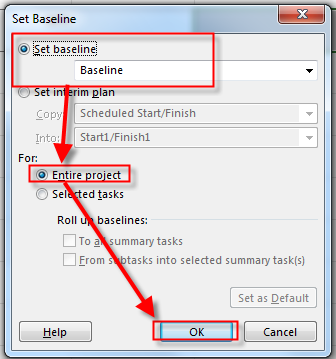 I will explain hot to track Physical % Complete in MS PROJECT 2013. 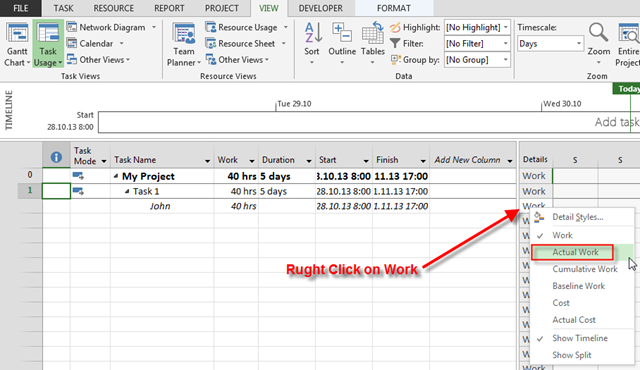 In MS PROJECT you can Track %Complete, % Work Complete, and Physical % Complete. Where are the differences? As you can see, %Complete is 50%, but % Work Complete is 38%. Where is the difference? OK! I know that, you idiot, you will say. You had the same example few days ago! I know! But what about Physical % Complete? John spent 2,5 days (50% of Duration) and 12 hours (38% of %Work Completed), but, just for example, he completed 90% of Task! So next 2,5 days, he will spend 20 hours for finishing 10% of his physical work. If the Task is, for example, Publishing the Book, he might wrote in 2,5 days, but next 2,5 days (and 2’0 hours), he need for reviewing it with editor, fix misspelling etc. For that purpose I will put 90% in Physical % Complete! OK! What can you do with that? You can calculate EVM on that way! I’m not going to show you here EVM report, because I have to leave something for my further Posts. Make sure that you have put value greater than 0 in Standard Rate in Resource Sheet. This entry was posted in MICROSOFT PROJECT, Microsoft PRoject 2010, Microsoft Project 2013, MS PROJECT 2010, PMI, PRoject Management and tagged MS PROJECT, MS PROJECT 2010, MS PROJECT 2013, MS PROJECT 2013 - Tracking. Bookmark the permalink. Dear Sir, This Ram from Bahrain. i had the same issue with Physical % complete field. i did all the steps which you stated above and in the project summery field overall physical % complete is not displaying. i entered the actual values only as all those are quantity based. can you help in this issue . Did you put standard rate for resource? did you assign resource to the Task? did you save the Baseline? dd you change the EMV method? Hi you know why some tasks even thou you might put 100% the summarize doesn’t make it to 100% stays in 99%. Any idea why this might be happening? I been searching for something similar to implement as a physical 100% complete with summarize included. Thanks! I should see your mpp file! I am Siddeshwar from Mumbai, India, can you plz tel me if I enter 50% in % physical complete, will the roll up to project summary shows me the same 50%? You should save a Baseline, and have std. rate for your resurces. Foloow the steps in my Post!